Dr, Tai is very good and will thoroughly explain the results of tests with you. The technician however was not veryfriendly and had poor English skills, so everything she said had to be repeated. Didn't seem like she wanted to be there.. That was not my experience on a previous visit where the technician was quite good. Dr, Tai is very good and will thoroughly explain the results of tests with you. The technician however was not very friendly and had poor English skills, so everything she saidhad to be repeated. Didn't seem like she wanted to be there.. That was not my experience on a previous visit where the technician was quite good. Staff and physician are very professional-courteous and patient. Doctor was very thorough with her examination and explainedher findings in a very reassuring tone. I highly recommend this office. Staff and physician are very professional-courteous and patient. Doctor was very thorough with her examination and explained her findings in a very reassuring tone. I highly recommend this office. 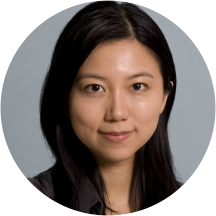 Tak Yee Tania Tai,MD is a member of the Ophthalmology Faculty Practice at the New York Eye and Ear Infirmary. She is an ophthalmologist specializing in the medical, laser and surgical management of patients with glaucoma, or at risk of glaucoma. This includes glaucoma suspects, open angle glaucoma or angle closure glaucoma. Dr. Tai is a graduate of the University of Pennsylvania, School of Medicine, and completed her residency training in Ophthalmology at the Jules Stein Eye Institute, UCLA. She then completed fellowship training in Glaucoma at the Wills Eye Institute in Philadelphia prior to joining the Faculty Practice at the New York Eye and Ear Infirmary. Dr. Tai is also an Attending Ophthalmologist involved in supervising and teaching residents at the Infirmary. She is a member of the American Academy of Ophthalmology and has authored multiple articles and book chapters. Tai TY, Damani MR, Vo R, Rayner SA, Glasgow BJ, Hofbauer JD, Casey R, Aldave AJ. Keratoconus associated with corneal stromal amyloid deposition containing TGFBIp. Cornea 28(5):589-593. Jun 2009. Tai TY, Glasgow BJ. Illuminating the invisible specimen: Descemet membrane endothelial keratoplasty. Arch Pathol Lab Med. 132(3):322. Mar 2008. Tai TY, Mills MD, Beck AD, Joos KM, Ying GS, Liu C, Piltz-Seymour JR. Central corneal thickness and corneal diameter in patients with childhood glaucoma. J Glaucoma. 15(6):524-8. Dec 2006. Friendly staff, front office staff efficient. Tech was very good. While my wait was around 30 mins., It was a new patient visit and there were forms to complete and tests to be done before I saw the doctor. Dr. wasvery personable and willing to listen and answer any questions. Front desk staff was courteous and prompt. The tech was extremely prompt, courteous and efficient. As per the doctor, I thought she could have been a little more courteous, I felt she was a bit hesitant when it came to conveyingher recommendation and instruction. Overall, she was knowledgeable and professional. Very professional staff. Pleasant experience. Dr. Tai is awesome. Very informative and thorough. Very nice and polite doctor. She examines very thoroughly and listens to your problems regarding you came for. Great staff, very courteous, professional. The nurses, technicians were great. Dr Tania was excellent, knowledgeable, professional and caring. I definitely recommend them. I was very satisfied with the professional care I was given; however, my appt. was for 10:00 and I was seen at 12:15. I don't think anyone would think that this is acceptable. I do plan to return to Dr. TakYee Tanis Tai, and am hoping this wouldn't happen again. The Doctor is very thorough! Excellent experience with Dr. Tai. She identified a new problem, carefully explained her findings without alarming me, ordered an office test, and asked me to return for follow up in 2 months. I left the office feeling grateful for Dr. Tai and her staff. One of the best eye exams.very nice doctor.she will be my eye specialist from now on. Dr. Tai took her time with me, was patient and friendly and explained the information about the surgery I needed and gave me some things to read so that I was well informed. I knew I needed surgery, and she easedmy mind that it was better to have it done sooner rather than later. The wait and visit took about an hour, I had to fill out a bunch of paperwork, but that's the norm for any new patient. Her assistant who saw me first was also very friendly and helpful. Very professional with excellent manner. I had a very good visit with this doctor. Everyone was very professional and treated me very well. Dr. Tai explained what was happening and the whole experience was just fine. I would highly recommend this office and this particular doctor.The only thing that I was a little unhappy with was that I filled out all the paperwork on line, but had to do it all over again at the office. Oh, well. Dr. Tai was very thorough and informative about my particular set of circumstances. I would choose to see her again should there be a situation in the same area or in her particular area of expertise. I plan on working with them again for corrective lenses. EXCELLENT DOCTOR. SUPERB ASSISTANT. MY NIECE CAME WITH ME AND AGREES THAT SHE DID THE MOST THOROUGH EXAMINATION. This was the most thorough and stress free eye exam that I have ever had! Dr. Tai and her staff work together to satisfy all concerns and answer all questions. Thank you, Dr. Tai and Julie. I will be back next year. I totally recommend Dr. Tai she is professional, smart, knowledgebal, and treat everybody with respect. This is my second visit. I love the way she explains everything. Also her asistant at NY eye and ear in E 15 st in brooklyn is helpful and knowledgable . She is excellent . I totally recommend her. Great visit! I went in for a general eye exam as I had not been in four years. I needed a new prescription so my visit was pretty straight forward and routine. However, the technician who did my general eye testingbefore I met with the doctor was very thorough and did a great job explaining everything that he was going to do. Very gentle when putting in eye drops and just overall very attentive. Dr. Tania was great as well. Again very thorough and clear with all the information she gave me. Overall this was a really great check up and now I am shopping for new eye glasses! My aunt (87 years young) visited Dr. Tai for consultation on glaucoma problem. We were pleased with her expertise and advice. She addressed my aunt's overall health and how it could interact with her vision problems! We highly recommend her. She was very professional, and she took time to explain some things; other Eye Doctors never told me about my eyes! I felt very relaxed and trusting of her to do the eye examination. Her Waiting Area had a nice decorum,verypleasant. The staff was friendly and efficient, they checked me in, and put me into see Dr. Tai in a very timely fashion!! I felt good about my visit to this office!! Very clean, doctor seemed to know what she was talking about. She is an amazing Dr and explains everything clearly. Very pleasant and highly recommended. The visit went very well. She explained everything to me in very simple understandable terms. All testing was done on-site and immediately. The front desk and mediacal staff were all very professional.